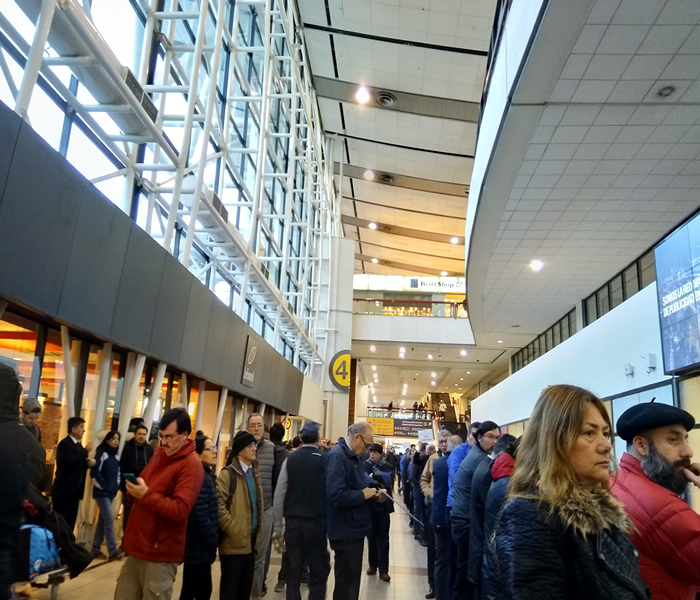 We have repeatedly made note of the continued logistical confusion at the Santiago airport due to ongoing renovation work. We would also like to make you aware that drivers of the so-called “pirate taxis” are using even more outrageous methods to charge international travelers greatly inflated fares for transport from the airport to their hotel. 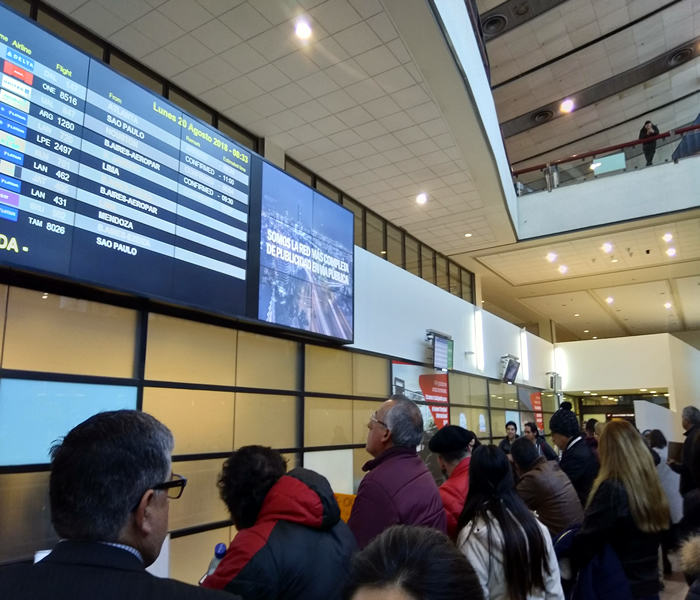 To ensure that this does not happen to our guests and that they easily find our drivers and tour guides, we implore you to provide the following information to travelers booking tours to Chile. Once travelers have passed the customs area, it is important that they turn right and proceed to exit number 4. The number 4, against a yellow background, is clearly visible above the exit. 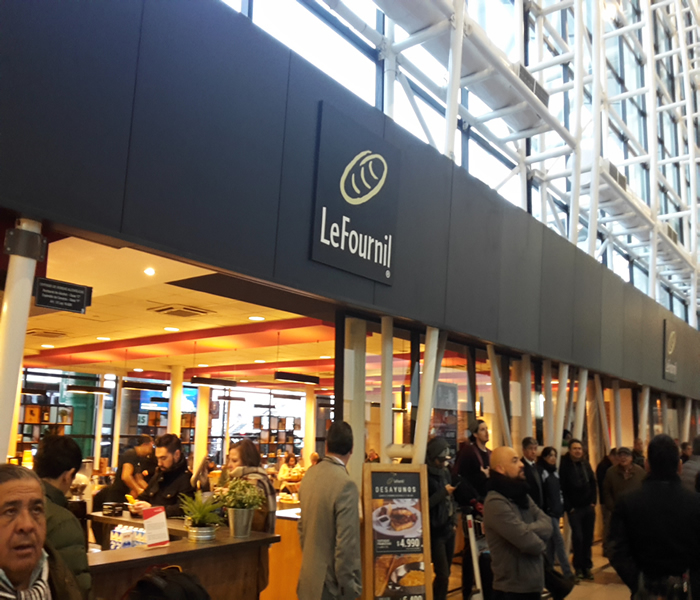 Another reference is the Café Le Fournil, which is situated just to the left of Exit 4’s sliding doors. There are also markings on the floor guiding passenger to this exit; most passengers leave the airport building on this route. Finally, our drivers and tour guides always will have a name badge with the guest’s name that will be provided to our travelers upon being received at the pick-up zone. Recently at other exits “pirate taxi drivers” have been catching an increased number of passengers leaving the customs area and offering them transfers at completely inflated prices. They pretend to be the airport’s official security agents, helping passengers to find a taxi. In addition, they fake phone calls to the local travel agencies, which then seem to authorize the taxi ride and confirm that the amount will be refunded. In the unlikely case that our guests do not meet our drivers or guides, they must call our 24h emergency phone line and only take an authorized taxi to the hotel if need be, which is necessary for safety reasons. An official taxi ride does not cost more than 20,000 to 25,000 Chilean pesos. If you have any questions, your travelArt contact person will be happy to help.